Buy a Cheap Apartment in Rafal, Alicante. 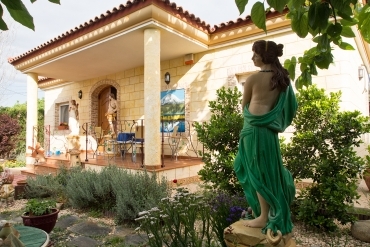 Trust on Casas Espania if you want to buy a cheap apartment in Rafal, Alicante. We have a great selection of properties in the Costa Blanca. We provide you only the best properties at the best prices. At Casas Espania we have more than 50 years of experience offering all kind of properties (villas, bungalows, apartments, plots, etc.) along the Costa Blanca. We identify the best opportunities, including regularly cheap properties to our catalogue. If you want to buy or sell a property in the south of Alicante Province we invite you to discover our company. Remember that our professional team is composed by native English speakers and we have a long experience in the sector. We will provide you a great assistance during the whole buying process. Forget the paperwork; we will help you with all the administrative aspects in order to allow you enjoy buying your new home in Spain. Currently we have available two apartments with magnificent features in Rafal, Alicante. If you are looking for a cheap apartment in the south of the Costa Blanca, we have the right property for you. Our apartments in Rafal are available for just 55.000€ and 79.000€, so this is a great opportunity if you are looking for a bargain near the Mediterranean Sea. These apartments include an unbeatable proximity to all kind of services and facilities (restaurants, supermarkets, stores, pharmacies, medical centres, etc.). They also include interesting elements such as air conditioning, tiled terrace and bright accommodations among others. The road connections in Rafal are extremely good, so you will be able to visit easily near cities as Almoradí, Orihuela or Catral. In addition, you will be able to move without problems to other points of Spain. In short, do not hesitate to contact us if you want to buy a cheap apartment in Rafal, Alicante.